Are all immigrants from the same home country best understood as a homogeneous group of foreign-born? Or do they differ in their adaptation and transnational ties depending on when they emigrated and with what lived experiences? Between Castro’s rise to power in 1959 and the early twenty-first century more than a million Cubans immigrated to the United States. While it is widely known that Cuban émigrés have exerted a strong hold on Washington policy toward their homeland, Eckstein uncovers a fascinating paradox: the recent arrivals, although poor and politically weak, have done more to transform their homeland than the influential and prosperous early exiles who have tried for half a century to bring the Castro regime to heel. The impact of the so-called New Cubans is an unintended consequence of the personal ties they maintain with family in Cuba, ties the first arrivals oppose. 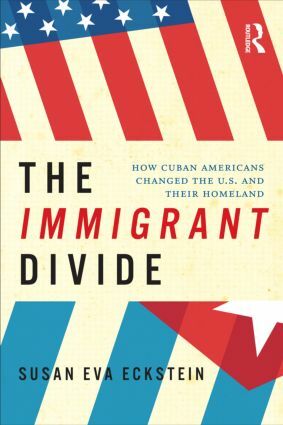 This historically-grounded, nuanced book offers a rare in-depth analysis of Cuban immigrants’ social, cultural, economic, and political adaptation, their transformation of Miami into the "northern most Latin American city," and their cross-border engagement and homeland impact. Eckstein accordingly provides new insight into the lives of Cuban immigrants, into Cuba in the post Soviet era, and into how Washington’s failed Cuba policy might be improved. She also posits a new theory to deepen the understanding not merely of Cuban but of other immigrant group adaptation. Immigrant Politics: For Whom and for What?